This went on for hours, me pointing out an animal in the book and my one-and-a-half-year old niece trying to repeat the names. By the end of our afternoon together, she learned a few new words all while having fun. And just as easily and effortlessly as children learn to speak by imitating the grownups, you learn new marketing skills this way too. The principle of the Mirror Method is simple: you find someone who’s doing a good job on marketing their product or service and you analyze every step of their funnel. Let’s look at the different steps, tools and thinking process involved in the Mirror Method. The goal of the Mirror Method is to discover a new tactic, tool, method, system... that you can then apply to your own business. But of course, you want to be sure you’re analyzing someone worth mirroring! Which is why, I suggest you only mirror companies whom you know are making decent money. Those are the people who have their marketing funnel figured out. Don’t mirror websites because you “like” what they are doing or how their site looks like unless you know they are making significantly more revenue than you are. An easy Google search for company + revenue will probably give you some pointers. The homepage or a blog article is always a good start for the Mirror Method. This means you’re looking at the content marketing of the company and start analyzing the funnel from there. Another place to start can be social media and, more specifically, the ads you see on your social media profile. Pro Tip: Did you know that Facebook now shows all the ads a certain company is running? 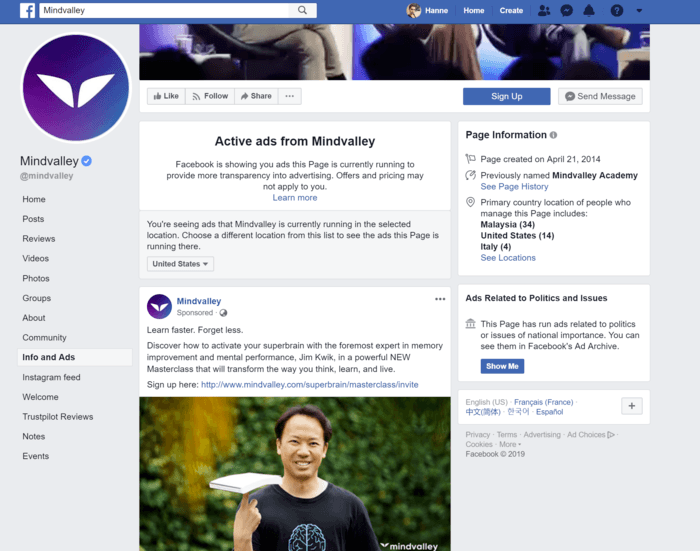 Did you know that Facebook now shows all the ads a company is running? Yes, that's right! This information is freely available. Now it’s time to go down the rabbit hole… You found a starting point of the funnel, so let’s jump in. 1. What’s Up With That URL? When you go through a funnel, pay attention to the URL of the pages you land on. These URLs can reveal more than you think. First of all, you can learn a lot about how a site organizes their content. 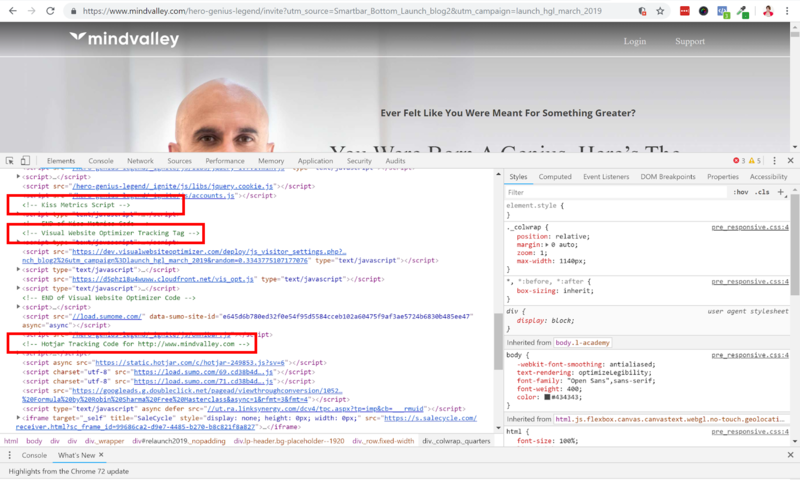 In the MindValley example, you can discover that the landing page is a child page of another page. When you go to the parent page (www.mindvalley.com/hero-genius-legend), you can see the sales page of the program without the launch discount. ​Not only can you discover the internal organisation, you can also discover how the company goes about organizing and analyzing their data in Google Analytics. As you can see, the URL has a “?” after the normal URL. These are called UTM parameters. With UTM parameters, you can tag your links to gauge the effectiveness of your campaigns. When you have a landing page in your funnel, you’re most likely getting traffic from different sources. Some people might click on a link in your email newsletter, others might come from the blog, yet others from Facebook, etc. Adding UTM parameters to links will allow you to see in Google Analytics where your traffic came from and analyze which type of traffic is converting best. 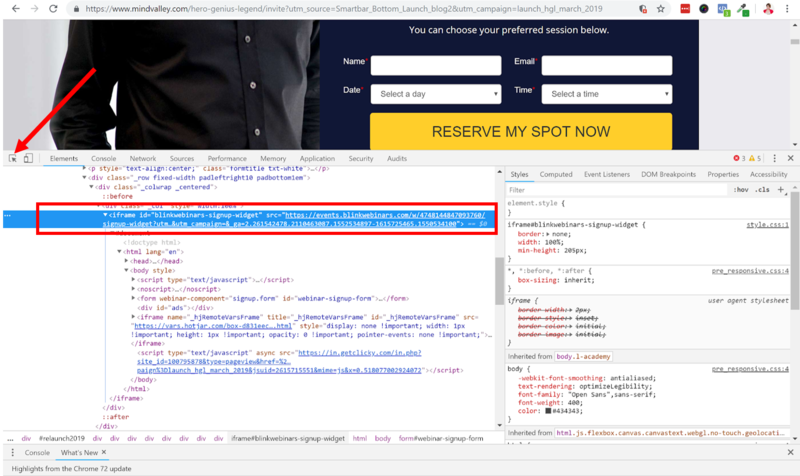 If you’ve never heard about UTM parameters or how to use them, here’s a really good guide that explains it in great detail. Why is this so interesting? Because it indicates that they are probably testing and analyzing which placement on the blog works better. If you see that in 3 months time they don’t use the sidebar widget anymore but only a Smartbar, you can assume that ribbon won the test and converts better. You can also see that this launch is part of a campaign for March 2019 which means that the funnel we’re analyzing should have some interesting scarcity elements in it. Another thing you can discover when looking at the URL is whether the website is A/B testing their traffic or not. If you ran any A/B tests yourself, you know that any A/B testing tool will add a string of characters to identify the test. When you notice this, you can then go into an incognito browser and see if you can get the other version of the landing page. Sometimes the URL can also reveal if a website is using a certain tool (some tools will host pages on their own platform such as Leadpages or ClickFunnels) and you’ll be able to discover this by looking at the URL. This tool is without a doubt my favorite hidden weapon. You can discover so much by taking a look under the hood of a site. If you’re using a Chrome browser, use the right click and “inspect” to bring up the inspector. The inspector will show you the code that’s running on the page you’re inspecting. Now, it might look a bit daunting at first but once you get the hang out of it it’s actually really fun! In the <head> tag you’ll discover what scripts are running on the page. This will give you a nice overview of the different tools that are running on the website. Don't let the code overwhelm you, look for words you understand. See you can see that they are running Kiss Metrics, Visual Website Optimizer, Hotjar, etc. Just a quick note about header scripts, these are scripts that are running on the entire website (not only or not necessarily) on this page. After looking at the <head>, click on the pointer icon and inspect the lead generation element on the page. This will most likely allow you to discover some more information about the element. In the case of MindValley, I was interested in discovering what tool they were using for their automated webinars. Take a look at the video at 10.07 min to see some more things I discovered about this funnel when using the inspect tool. When you’re analyzing a funnel, you’ll want to subscribe to that funnel. But as you can imagine, the more you do the Mirror Method, the more newsletter and funnel subscriptions you’re accumulating. 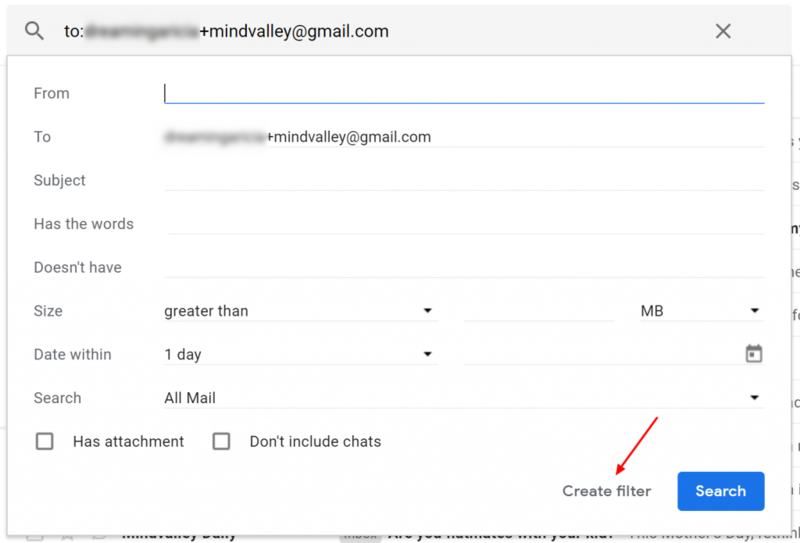 If you’re using a Gmail account, you can simply add +[name of the funnel] behind your normal email address and this will then allow you to set up a filter for this address. This will still go to your normal Gmail inbox. 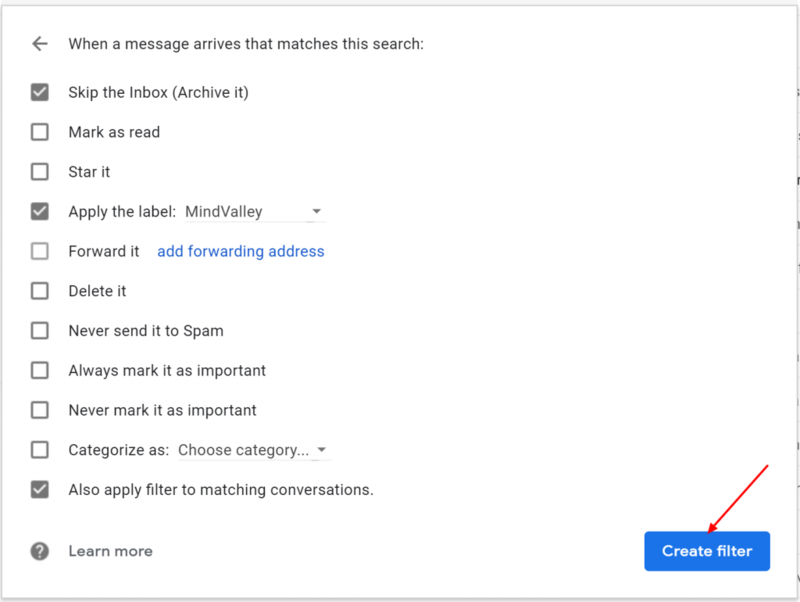 Now you can set up a filter in Gmail to make these emails skip your inbox and go into a separate folder. All you have to do then, is wait a couple of days and the folder is the perfect swipe file for an email launch funnel! 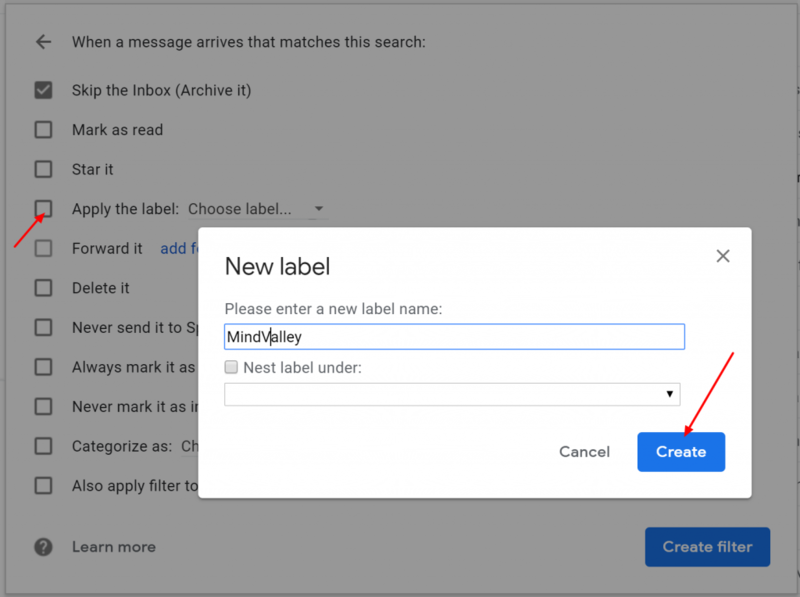 Click on the drop-down arrow next to the search field and then on "create filter"
Labels in Gmail act as folders, create a new label so you don't have to see these emails in your inbox. Step 4: Skip Inbox, Apply Label, Also apply filter to matching conversations. Use these settings to skip the inbox and group all emails in one folder. Now that you found most of the funnel, you’ll want a nice and easy way to represent it. AwesomeScreenshot is a Chrome extension that allows you to take full page screenshots in one click. 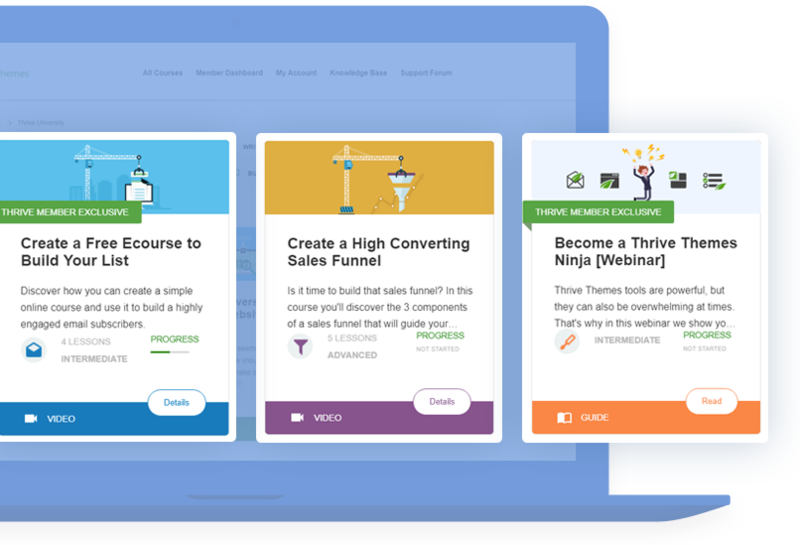 This is the perfect way to capture landing pages and sales pages for later reference. Especially when you know that the funnel is not going to be around for very long. Draw.io is also a free tool that you can add to your Google Drive which allows to make good looking flowcharts with a few clicks. These flowcharts can really help you to map out the entire funnel and keep a nice overview over what’s going on. But there is one thing I want to be very clear about. The Mirror Method is not an excuse for becoming a copycat! What you’re doing while applying the Mirror Method is analyzing and learning the methods and overall strategies that a company is using. You’re NOT going to copy their landing page design, button colors etc. First of all because that’s stealing. But also because that’s not what matters! And those are just a few things we learned. Now, if you decide to simply keep your sales page but to make your button yellow, you’re missing the whole point! What did you think? Was this helpful for you? Will you start applying the Mirror Method to develop your own marketing skills? Thanks Faisal, glad you enjoyed it. Great article Hanne. I liked the Chrome extension suggestions. Thanks very much for this helpful information. You are a genius! that is awesome stuff. I’m always looking for behind the scenes information and now I have super useful stuff. Thanks!! Hihi, just a marketing nerd ;-) But thanks Linda I’m happy this was useful for you. That’s excellent Hanne. Very clear and simple, yet detailed enough for anyone to funnel hack. Awesome work. Thanks Tom, glad you got something out of it. Wow! Amazing. I didn’t know this was possible. Thank you. Not a huge deal but that webinar is from March 2018, not 2018. Obviously, I meant “from March 2018, not 2019.” Ha! Keep up the great work! Nice video Hanne! I didn’t know about the + trick on gmail addresses so I’ll make sure to do that from now on, thanks! I hate “unspeedable” videos, I never watch them. Although this marketing strategy doesn’t work for me, other stuff I watched/saw from Mindvalley didn’t work either, they surely know something if they can create such a huge traffic with their tricks. Thanks for sharing this info, I did not know such a tool exists. Thanks Hanne! One tip to speed a webinar video is use your keyboard right left arrows, works on most sites videos. Thanks Anton, will try next time! Excellent idea, with some really great tips. Thanks Hanne. Very nice Hanne and helpful. Also learned that ThriveThemes will probably be retargeting me on FB (used the retargeting pixel plugin). That was over the top information–things I would never have thought to do. Yes, I’ll try this… though I think it will take me a while to fully grasp all that is here. This is after doing it for many many times :D In the beginning you probably won’t discover all the ninja tricks etc. but it’s still good practice to make this a habit. Thank you for sharing those tricks, Hanne. I enjoyed every single one. Question: the subscribe with the address trick yourname+mindvalley@gmail.com, does it work if I apply it on other subscriptions? For example, hugh+thrivetheme@gmail.com. Yes you can use as many different plusses as you want. Every single one will end up in your inbox where you can then filter. Eg. When I was analyzing Ramit’s email marketing strategy, I signed up to ALL the different leadmagnets I could find on his website and used the “+” trick to know which email was linked to which leadmagnet. Even today, I can still see when they do list segmentation based on interest. Hanna, that was the best blog ever! WOW, that was some ninja moves. Thanks. Loved it, especially the inspector tricks. Thank you!! Very good demonstration. I learned a lot! Thank you for putting this together. Awesome! It’s like discovering the magic behind success. It will certainly be useful for me. Thanks a lot! Wow, so much information in one short video. I learned a lot. Thank you! Thank you for this, very insightful and with great detail. Can’t wait to put this into action. Much appreciated! Hope you’ll have fun with it, Josh! Hello Hanne, I find it very interesting everything you explain, I do not handle the English language well. With the Awesome Screenshot tool can I make videos? Thank you soooo much, Hanna! This was a great training, full of insights. I’ve been practicing this type of data gathering lately, but with your training, I realize that I knew very little on how to go about it. Hanne, thanks for this! Awesome! They did a very good job analysing funnels like this. Very valuable and useful information. A number of tricks I learned that will serve well in marketing research. For example, I knew how to get to the inspect view but never knew what to look for. Now, I do. Thank you for sharing your expertise. Opens some doors for me I didn’t even know were available. Hi Terry, happy to hear you got something out of this video. Hanne… This was awesome! Very much appreciated for the tutorial and for the insight. Great job at explaining as well. I love funnelytics.io since they break down funnels of the larger internet marketers for you in flow chart format already. I heard about the tool. I think it’s nice to see a breakdown, but doing it yourself will teach you so much more! It’s different when you have to “discover” all the steps rather than just seeing them mapped out already. This was very useful and motivating video. I feel like starting this kind of learning :) Thank you for this! Hihi, I know… Won’t work every time but definitely worth trying. Great and funny video! Thanks, Hanne! Wow!…had never thought of going this deep to learn the ‘behind the scenes’ side of successful online marketing. Thanks for putting this together Hanne….great video and supporting blog. Definitely putting this into action. Thanks heaps! I really enjoyed your video! It was extremely helpful. I’ve been trying to learn the best way to set up squeeze pages and funnels for the last 6 months and your video taught me almost as much in just 16 minutes. I really liked your trick for going straight to the YouTube link by using the Google Chrome Inspector. Now I can skip ahead through lengthy webinar posts. Thanks again Hanne. Cheers! Hanne rocks it out of the park again, it’s the Belgian connection ???????? Hanne this is a marvellously informative video. Thank you so much. Brilliant. Brilliant Thanne! Honestly, you belong doing videos for Thrive Themes – to me, this is the highest of compliments as I have rarely found another company so generous with valuable information. You have made me a raving fan & evangelist! Its really great. I have taught something important from you by this video. Thanks , Thanks a lot. Hanne, thanks for this video. Very helpful. I’m really impressed with the amount of helpful information you shared with us. Great story, very helpful! Thanks, Hanne. You create fantastic videos/tutorials with your dynamic way. It is always a great pleasure to follow your explanations. This information was very interesting and instructive. Hanne, this is a great lesson! Thank you! I used to map out my funnels in Lucidchart until I found Funnelytics. It’s free (with a premium option, which I don’t use) and it’s designed specifically for this purpose. Karen, good to see you here! We’re both Course Craft colleagues. Nice to see you here, too! :-) I recognized you from Course Craft! Did you take Shane’s productivity course too? I’m a huge “Shane-&-Thrive-fan girl!” ;-) LoL! So, if it’s Shane and/or Thrive, you’ll find me here learning as much as I can from these smart people! Thank you Hanne, great video. I love your trick for going straight to the YouTube link by using the Google Chrome Inspector. I actually did click on their widget, ended up on the landing page and signed up. But then I couldn’t fast forward in the video, it drove me nuts, so I closed the tab. I am glad I did now knowing that the video was 1 hour and 20 minutes long, no way I have time for this. With this trick I might still be able to see and hear what is going on :-) Loved the tip for Awesome Screenshot too. Yes, this YouTube Video trick is fantastic! I’ve also clicked away from sales videos I was trying to learn from and did not know what or how to do this! Great teaching episode. Thanks Hanne. Can you explain some more about the “overlay to prevent fast forward” on the video ? The overlay is done by the webinar software, it’s basically an overlay that prevents the play bar from showing so that you can’t fast forward the video. Thanks for this. Extremely helpful. I’ve done a little of this, but you’ve shown I can do so much more. I do have a question: It seems like this full process is pretty time-intensive (especially the 1st time around doing it)… I’m just wondering if you have any recommendations for how you decide to do one of these assessments? Gut feeling, curiosity, something else??? It seems it would be something i might want to do every quarter or so…? Just because of the time investment… I’m a solo btw so don’t EVER have “enough time!” ;-) LoL! It is time consuming for sure, but for me it’s part of my learning time. It’s as important as reading a book, following an online course or watching a video. I would suggest doing it when you’re looking to “upgrade” your funnel. That actually makes a lot of sense… That way we can get some new ideas or strategies! This was “the best” video EVER! Why? Because with the tools you’ve revealed and showings how to use them, now I don’t have to get ripped off through courses which I often find later are useless. Great content as always. So well put together. Thank you very much. Happy you learned something new Ramesh! A tutorial of great value in terms of hacks! Everybody is a genius! Especially you guys at Thrive Themes. I have a far-related question. 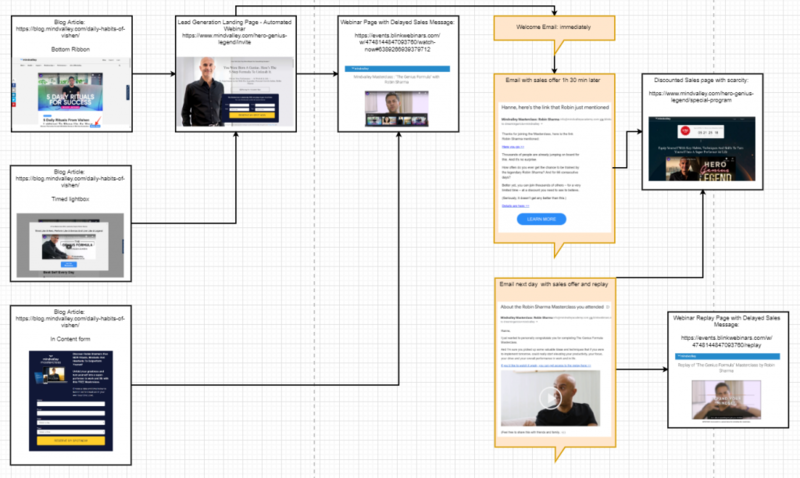 I want to create a figure/flowchart for an article (freebie masterclass). It would include images as well. Can I create this with drawio? If not, what kind of simple tool can you recommend to make simple figures with lines, rectangles, text and images? Thanks for your answer. PP i know inside out, at least I knew 7 years ago. Then it was not possible to save “drawings” in good quality jpg (or other image file). Has that changed maybe since then? That would be great (and also a good point for PP for updating). Still, Canva is my go-to graphics app, and it’s especially good for a non-designer like me! Thanks. I also use Canva, but I’m not sure it is suitable to construct the figure I want. So far I designed FB covers with it. Yes you can save in PNG I believe. This is amazing Hanne. Thank you!! Thanks so much… I learned heaps! Love the tools you mentioned, so useful. Thanks Nicola, happy to hear!